It can only get better. It can only get better. It can only get better. 5:15: “Mom! I’m cold. There’s not room for me in the bed. I’m coming in,” says dear son. 5:16: Roll over and realize daughter is also in bed and sleeping. When did she climb in? Roll over and pretend to still be asleep. Curse loudly in my head. 5:22: “Mom! There’s not room. Hannah won’t move over and I’m afraid I’m going to fall off the bed.” Think to myself that perhaps sleeping in his own bed would eliminate the problem entirely. Curse again. Also thankful that I went to bed at 9pm so at least I got some sleep between nose-blowing, mouth-breathing, and snoring because I can only breathe out of one nostril currently. Still irritated. 5:25: Dog licks my face telling me he has to go out. Silently shake my fist at the sky. Why must they all conspire against me?! 5:29: Come back in with the dog and sneak over to Jacob’s bed and lie down. Perhaps if I’m really quiet, they’ll think that I’m still outside, thus buying myself just a few more minutes of snooze time before I really have to get up and moving. 5:30: Damn. They found me. 5:31: Give up and get up since I have to blow my nose (again). 5:32: Hannah peels a banana in the kitchen, while peeing. She laughs. I, however, do not find this funny because on top of all the other morning activities – mopping was not on the top of the list. Mopping is now priority numero uno. (silently growl about the fact that I JUST mopped this entire floor 2 days ago.) When asked why she didn’t go to the bathroom she replied that she was just too hungry. 5:45: Shower a resisting daughter, son gets dressed, teeth brushed, breakfast consumed and out the door we go to school. Drop them off. Say a prayer of thanksgiving for the wonder that is school. 8:01-10:45: Enjoy a walk with the dog, a strength workout, and some quiet. Head off to pick up daughter from school. 11:30: Arrive back home, am told by daughter that she’d like yesterday’s lunch again. Heat it up, devour a bowl of it myself, daughter’s gets cold as she sits not eating it. She says she’s full, but this is not my first rodeo. 11:55: Dear daughter says she’s starving and wants something to eat. I kindly offer to reheat her lunch. She throws minor fit, but gets over it. She has no choice. We aren’t wasting food, especially when it was her choice. 12:15: Celebrate the idea that bedtime is less than 7 hours away. Wish it was now. 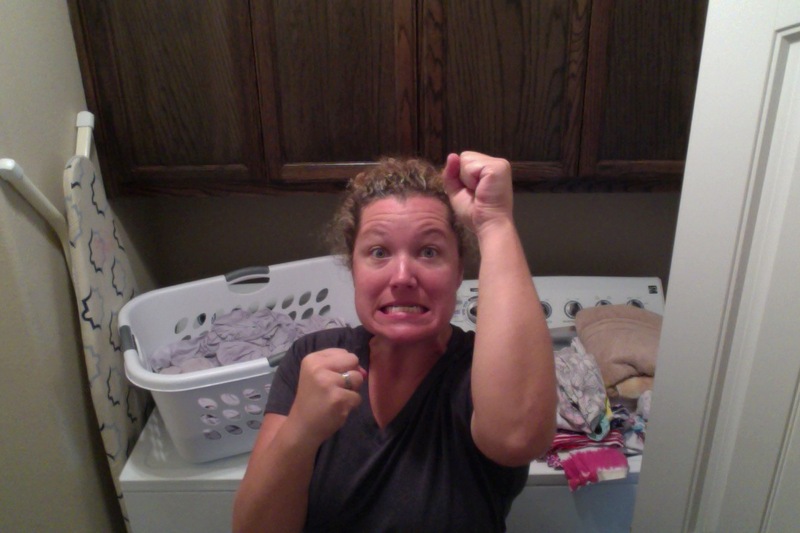 12:16: Fold laundry and consider running away from home. Far, far away to a land where I can breathe, my throat is not sore and I have 24 hours to sleep in a comfy bed where the comforters are not cut by minions. Me in my own timeout, rueing the day. I’m ready for do-over. Wait, scratch that. I don’t want to do this day over. I’m ready for evening and bedtime and for THIS day to be in the books! Wine at Nine. Or Whine. There are days. Then there are days. With the beautiful spring days comes more sunlight, longer daylight hours, and a ton of squirrelly energy from the kids. On the second to last day of preschool, I was looking forward to chatting with the other moms after picking up our children and letting them get some much-needed energy spent by running around the grassy field at the school. My daughter had other ideas. Upon arriving for pick up, I was informed by one of the teachers that my dear daughter was complaining at the last part of class that her nose hurt. When they looked up her nose, they couldn’t see anything, and she went off to play. She sneezed and complained that her nose hurt once more, but again they couldn’t see anything. She then told the teacher she had a bandaid up her nose. I arrive and get her out to our car and lay her down and I see the culprit lodged WAY UP inside her nose, past where fingers fit. I am not the best person to have on hand during an emergency because time slows down for me and I tend to freak out and chase my tail in circles. Knowing this about myself, I promptly call the hubs at work and he meets us at the base hospital. Hannah isn’t crying, but she’s pretty subdued at this point. I get her buckled in the car and realize that I now have to extract the dear son from his favorite activity – running around like a wild banshee after school. With moans and wails of protest, I wave a sad goodbye to the other moms as I feel the same way as Jacob – wanting that precious after-school hour to hang out, play and engage in mom-versations. Off to the hospital, we are informed that we no longer have an urgent care/emergency room, that we need to travel to the other hospital on our island that is 30 minutes away. Have I mentioned that none of us have eaten lunch yet? Bring on the attitudes! Oy! We call it being hangry. 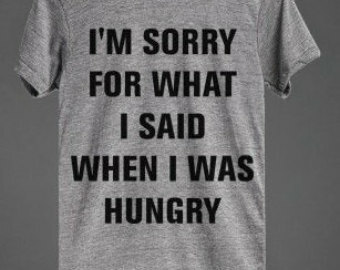 Hunger + anger = hangry. We get to the emergency room at the right hospital and get her all checked in. We are waiting in the waiting room and the kids are playing quietly with another girl. I overhear this girl who I estimated to be about 10-12 years old saying something to my son about something or someone being “stupid”. She also exhibited other behaviors and spewed other awesomeness toward what I assumed to be her mother so I promptly extracted my son and told him to come sit by me where we engaged in a full on tournament of thumb war. Everyone may parent the way they wish (or not), but sometimes I feel compelled to limit the influence of crazy. I then heard the build up of a sneeze coming from my other side. What does a mom do when faced with vomit, snot, or spit out food? Of course – we hold out our hand. Somehow we choke back the urge to vomit while we look at what our dear darlings have deposited for us. Today it was a snot-coated, rolled up, dirty bandaid. I sent her to school with three bandaids on her ankle for various owies. She still had 3 on her ankle. This rolled up bandaid now in my hand was probably someone else’s. Awesome. The good news was that we were able to leave right away and skip the whole visit with the doctor. Hannah proudly smiled as we walked out of the hospital exclaiming, “I sneezed it out! I sneezed out my bandaid!” I walked over to the hand sanitizer and applied it liberally. Getting the hubby back to work, I decide we’ve all had a rough day, we’re all hangry – let’s grab something to eat. Against my better judgement, we found an ice-cream shop and had some. It was yummy. It was hot out and totally hit the spot. On our way back to the car, we see a little toy store that was filled to the brim with all kinds of toys, games, books, animals, and candy. After our stop, we’d go grab some real lunch and then head home. The kids did great in the store, looking around at all kinds of things not normally found in toy stores. Jacob had his heart set on a cool stuffed squid (his current obsession is all things octopi), and Hannah was still searching for that “just-right” thing. I had managed to steer them past the over-loaded candy counter and keep a close watch on both kids. 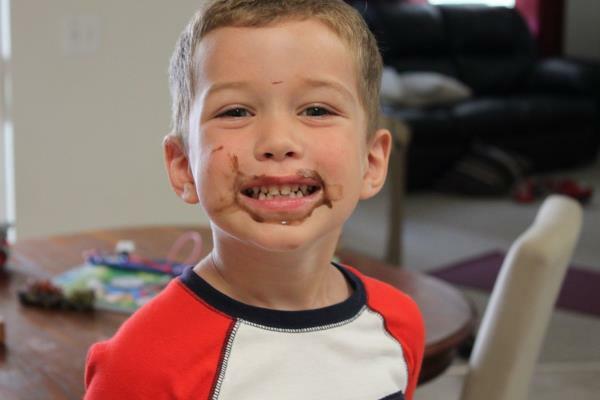 My main concern was Jacob, as his love of chocolate knows no bounds. We’re winding down our visit and I look over at him chewing something. I walk over and ask him what he’s eating. He found some loose gold foil chocolate coins and was helping himself. Can I start drinking now? I know this will be one of many days where I will have the urge to spike my coffee, drink at 9am, or do other not-appropriate things because of this parenting journey. I write this blog as way of laughing at the not-great days as a parent, thus preventing myself from becoming a drink-in-the-morning sort of person. Days like today just beat me up. Kids woke up at 5am – Hannah with a “nice” diaper gift. (Should have been my first clue!) Poop before coffee = never good. While shopping at the grocery, was rudely informed that I was in the way and that I should “teach my daughter to count apples somewhere else”. Door-jacked by a 90 year old lady in the parking lot of a church, scratching/denting my passenger door. Came around the corner and took a picture frame off of the wall while carrying a laundry basket – instantly shattering the whole thing all over the floor. While I want to just go put on my sweats, drink a bottle (or 3) of wine, eat my way through a box of chocolate covered macadamia nuts, what I WILL do is focus on the funny. A friend of mine during her spouse’s deployment, decided to keep a jar of notes about funny things her kids said and did so she could relive it with her husband when he returned. Genius! “We live in Washington now where sometimes it’s rainy all the time.” Couldn’t have said that one better myself! On days like today I need the funny. Got a funny kid story?! Tell me. I need more things to laugh about today!